In our monthly Pairings post, we match-up one of our stationery designs with another image—something that is separate in nature but associated visually through color, composition, lifestyle, and aesthetic. 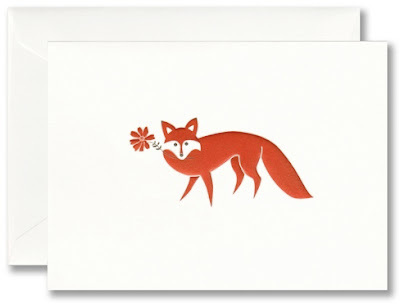 This month, we celebrate the clever fox with our new boxed note cards featuring a charming red fox and this wonderful English Fox Hunting Toast Rack. We adore toast racks as a perfect desk accessory for stationery. This circa 1910 gem—found on the website 1stdibs—features rows of riding crops resting upon four hunting dogs. 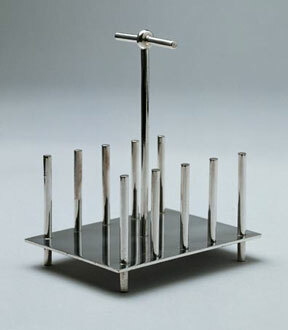 An earlier Scottish industrial designer, Christopher Dresser, also designed toast racks. A contemporary of the artist and craftsman William Morris, Dresser was a household name by the mid-1800s. 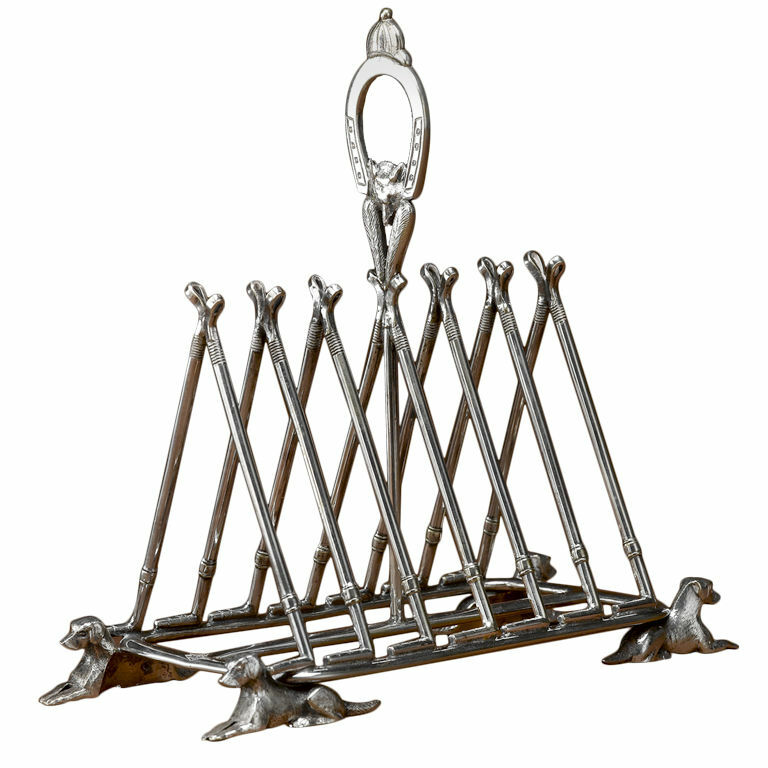 Dresser designed a variety of items that furnished the homes of the fast-growing Victorian middle-class, including these two geometric designs. 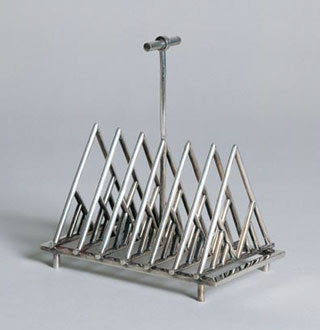 Wouldn't your stationery look charming displayed within a vintage toast rack?